Long time since last report. I will try not to let that happen again. Had a very busy week, been fishing every day. If you struggled a few days this last week catching walleyes you were in good company. 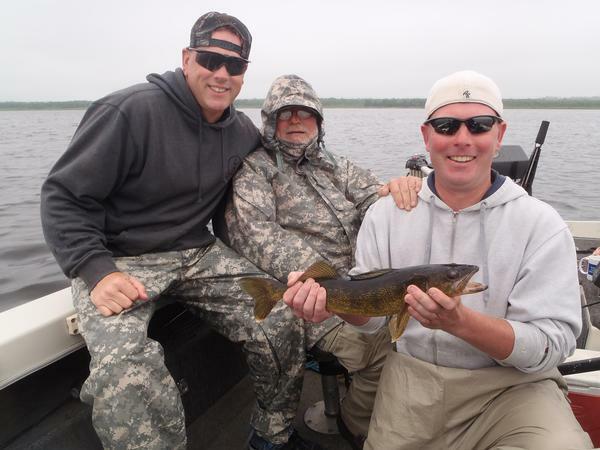 We consistently caught walleyes but not typical June numbers. We fished a large variety of depth and structure ranging from 3-16', weeds, wood some rock, not a strong pattern in any one area. We are getting visitors from all over the country I spent 6 days fishing with David, Jim and Justin from California, Ohio and Kentucky. Senior member David kept us entertained with stories from his rich diverse life, fun group of guys! There is a lot of great lodging available on the TFF they thought there accommodations at Flambeau Vista were top notch. I got to do a little fishing and scouting after my guide trips the last two days. 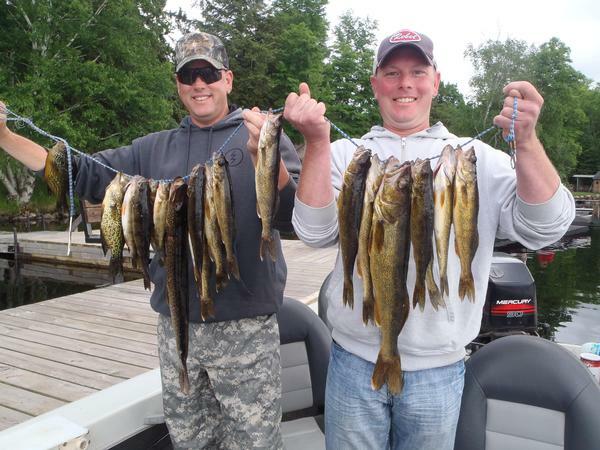 If you walleye fisherman aren't spending a little daylight on the smallmouth you are missing out on some of the most fun fishing the flowage has to offer. 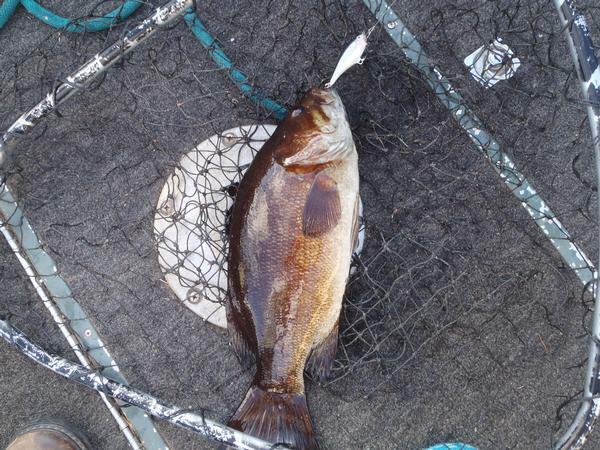 Picture of fish in the net is a big smallie on a Rapala skitter pop shad color #5. There are still good numbers on shore line rocks. The hair on your arms raise when they grab that top water bait, it is exciting!